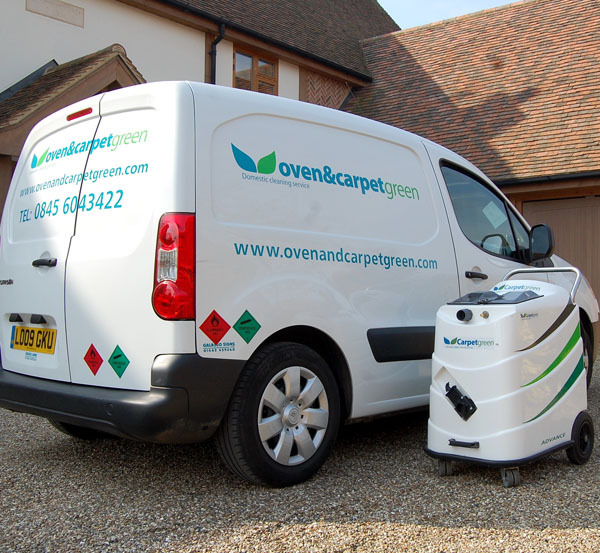 Eco-friendly commerical oven and carpet cleaning Hertfordshire,Bedfordshire,London. Until now we have never advertised ourselves as offering a commercial cleaning service, however for a number of years, our services have been employed by letting agencies, businesses, schools, hotels and nursing homes etc. to clean ovens, carpets and upholstery. We understand that business needs vary greatly and we're therefore happy to quote and carry out the work at a time that suits you - and that includes 'after hours' and at weekends. For more information, please contact us, and we will be happy to discuss your needs and provide a no obligation quote, free of charge.